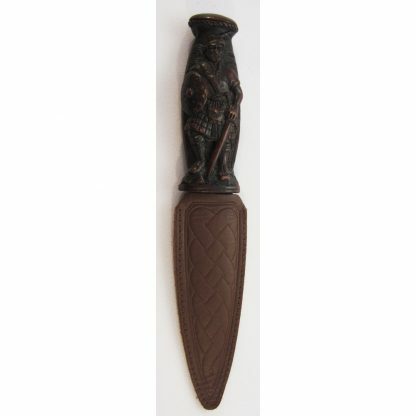 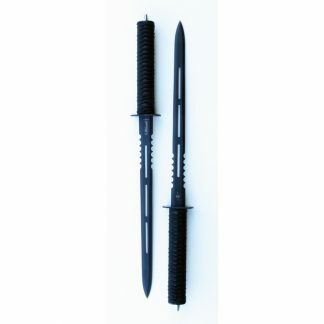 The Scotsman Sgian Dubh has a hand stained grip with a Scotsman on the front. 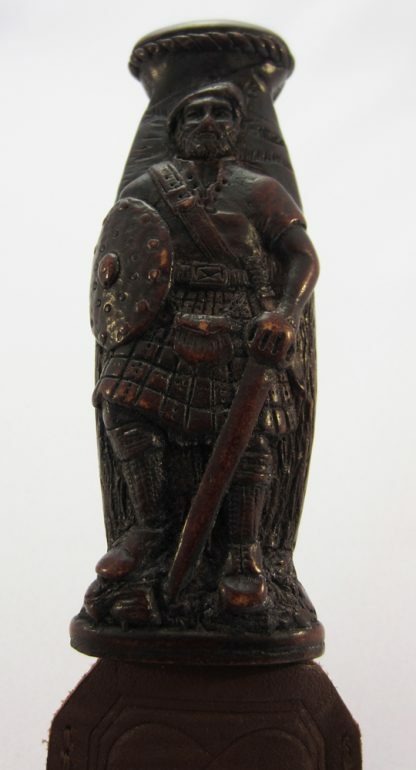 He is holding a basket hilt sword and a shield. 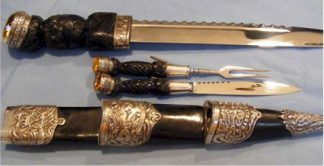 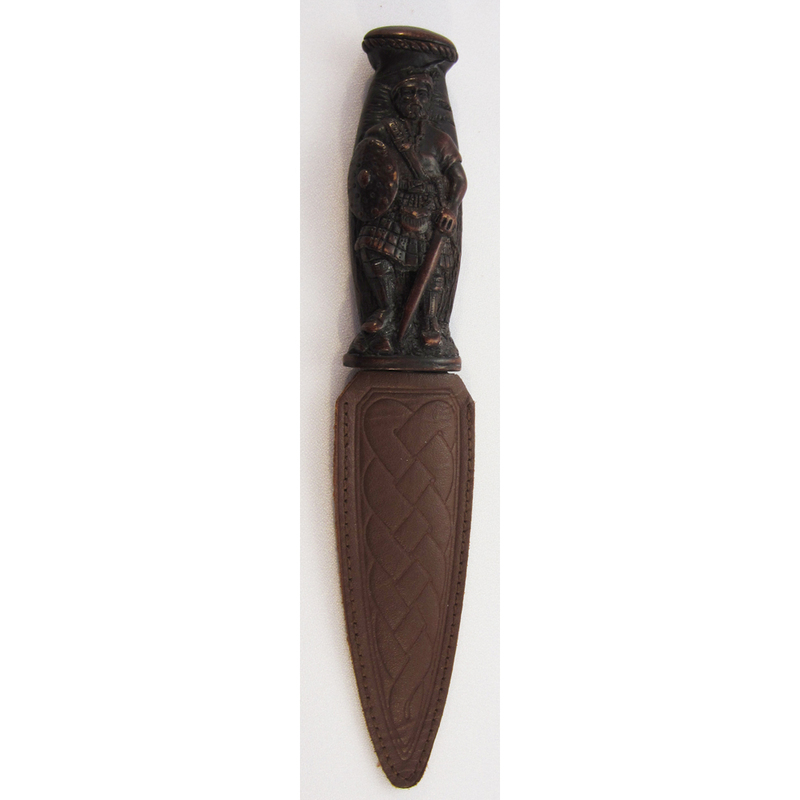 This Scotsman Sgian Dubh has a grip that shows a kilted Scotsman holding basket hilt sword and a targe (shield). 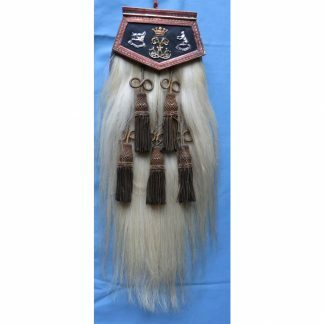 The back has a rope work design.